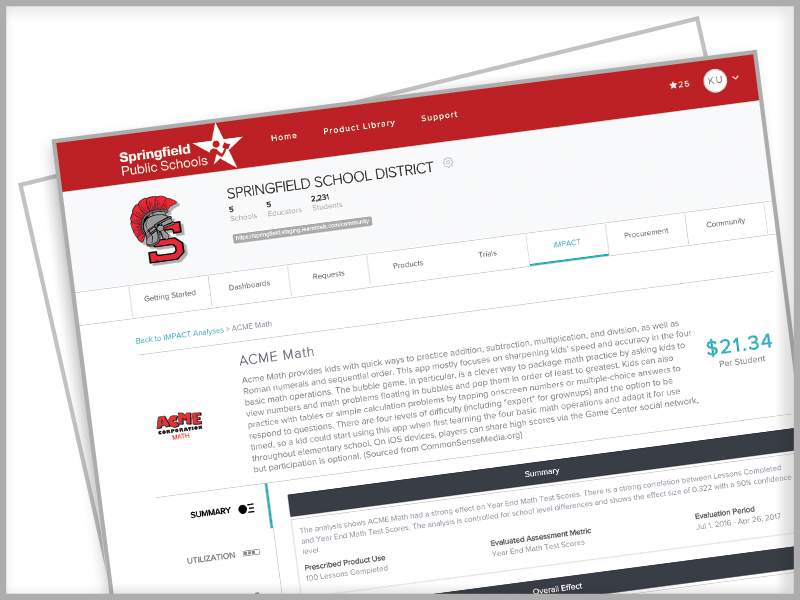 IMPACT is the only commercially available system directly aligned to the Every Student Succeeds Act. 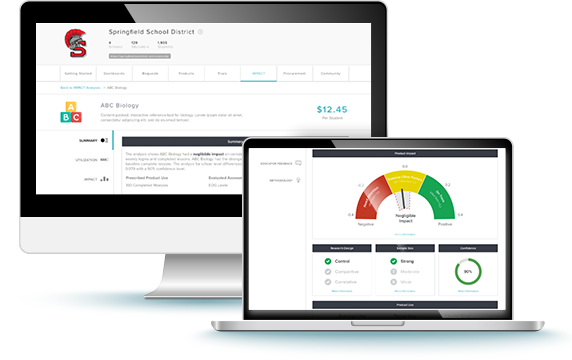 View an example of our detailed report on an edtech products usage and efficacy, what that means for outcomes and budgets, how it impacts your organization and the current realities of edtech usage. Download a sample IMPACT 2.0 Analysis report. Keep me informed about IMPACT. Contact me about using IMPACT™ in my organization. Send me a sample IMPACT™ report. Complete list of IMPACT™ Analysis FAQs.